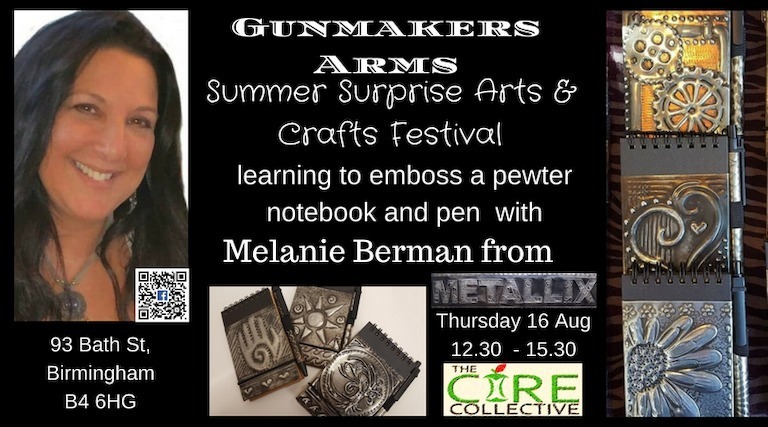 at Gunmakers Arms, Bath St, Gun Quarter, Birmingham. We welcome our vistors to Gunmakers Arms. designs and stencils are available for you to use. Surprise Arts & Crafts Festival Week.